The Explorer II: Carry-On is a durable, powerful little bag that will be ready to work hard when you’re gearing up for your next great adventure. 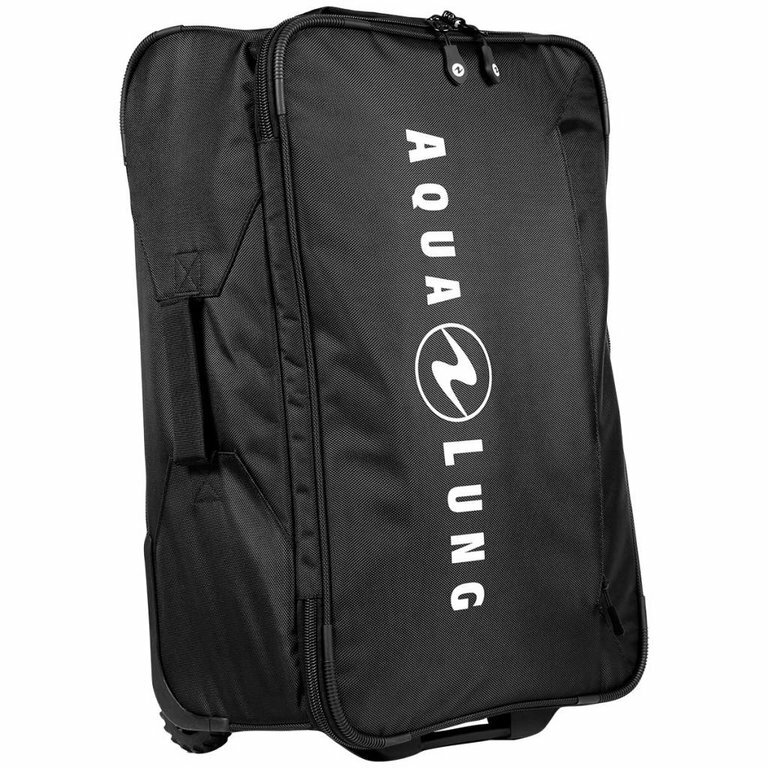 The Explorer II: Carry-On from Aqua Lung is the next generation in small but powerful carry-on bags that are perfect for the plane. This bag can hold up to 47 litres of equipment, which translates roughly to a full dive kit for when you go down south! Fit your travel-sized equipment all in one bag that you can keep with you when you fly. The Carry-On also features side handles so that it can be easy to retrieve from those tricky overhead compartments. This bag is easily stored and great for the travelling adventurer. 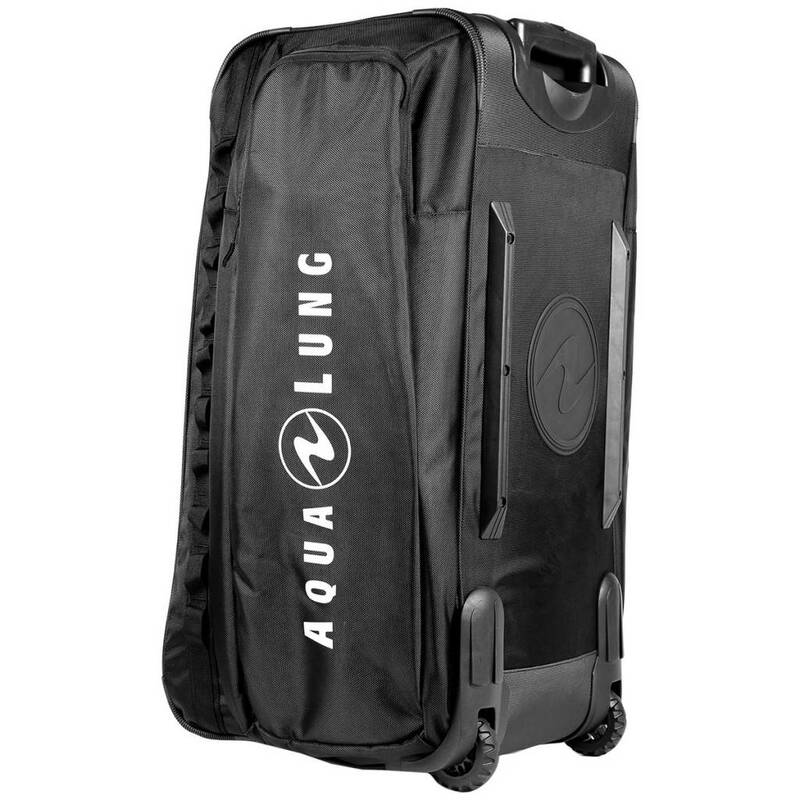 Aqua Lung’s Explorer II collection features some of the most durable diving bags available on today’s market. The Carry-On is no exception. Made from an extra durable 1680D Polyester with PVC coating, the Carry-On is made for the wear and tear of diving and travelling. The protective V-Diamond base and corner guards make the bag last while you continue to use it season after season. The Carry-On also features a retractable top handle and an extremely rugged wheel set for easy transport through airports while not compromising on its lightweight design. One of the all-new features on the Carry-On is its organization pockets. Rather than letting all your gear float aimlessly in the bag, Aqua Lung created both exterior and interior organization pockets to help you sort your gear accordingly. Keeping your valuables strapped in is important, which is why the Carry-On also features a compression strap. When you get off the plane, everything will still be intact, and you’ll be able to use your equipment right away with no problems.